Princess-Casino lives up to its reverend image as one of the leading land-based casino networks through effectively penetrating the iGaming niche. Casino players who are regular bettors in any of the 36 land-based casinos of the Princess Casino Network will absolutely take pleasure from wagering and winning in their favorite games and sports through the new online gambling site, Princess-Casino (formerly Princess Star). Princess-Casino made its way to the iGaming market in 2014. 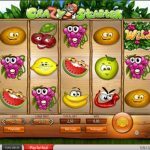 Still, despite its greenhorn status, it effectively invited a number of online bettors since this casino is reverend in the land-based casino niche. In addition, this platform is granted license to operate through SoftSwiss, the software platform it runs on. 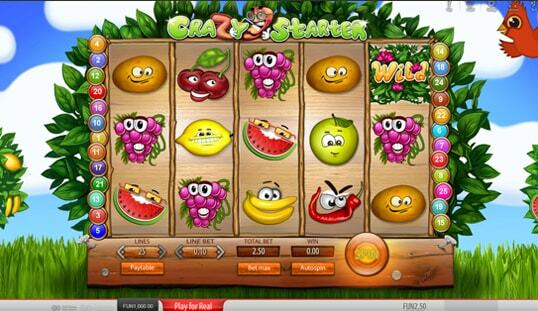 This gambling site combines casino games and sports betting activities. Its library of games is one of the things to feel great about if you are already a registered player. From the popular online slots to the favorite roulette, poker, and other card and table games, this casino has everything covered. It also helps that the games it offers are supplied by a variety of game developers known for their expertise in the field. Alongside the impressive roster of games is the long list of sports covered. Its sportsbook offers high-grade features like competitive odds and various betting options. The live betting feature is also available here, which complete the gambling experience. This online gambling site boasts a sophisticated website structure highlighted by stunning displays that conveniently show the list of games and other aspects. Everything is straight to the point. 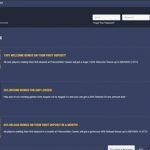 This means that players can navigate through the platform with ease, and this can be credited to the solutions provided by SoftSwiss. 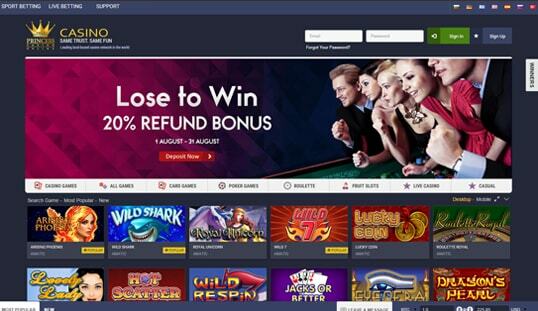 On another note, this casino is backed by leading casino providers, particularly Amatic Industries, SoftSwiss, Casino Technology, Betsoft, Ezugi, Endorphina, and NetEnt—all of which contribute to Princess-Casino’s appeal. Perhaps the only hiccup Bitcoin bettors may experience on Princess-Casino is the registration process. Unlike pure Bitcoin casinos, this platform requires its players to register for an account before they can play for free. This is due to the fact that Princess-Casino also caters to fiat currency players, which makes complete registration the standard protocol. Considering that it originally accepts fiat currencies only, it made a surprising job in integrating Bitcoin transactions into its platform. Compared to other fiat-crypto online casinos, Princess-Casino allows its bettors to initiate both deposits and withdrawals using Bitcoin. However, withdrawals take a maximum of one hour to process. Nevertheless, this processing time is fast enough compared to other websites of its kind. Other than Bitcoin, no other cryptocurrencies are supported as of writing this Princess-Casino review. Princess-Casino offers lucrative promotions and bonuses to further maximize the enjoyment of their clients. 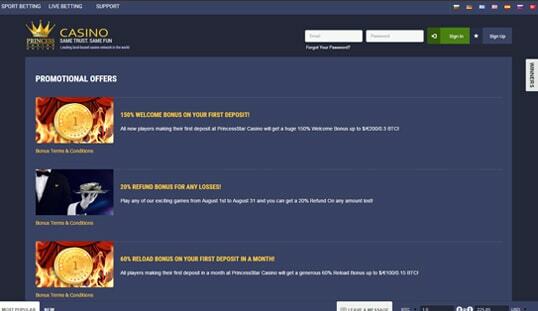 New members are guaranteed a 150% Welcome Bonus f up to 0.3 BTC upon their first deposit. 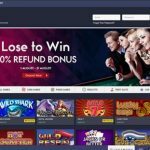 They can also take advantage of the 20% Refund Bonus for any losses within a specific time frame. Moreover, all first deposits of the month yield a 60% Reload Bonus of up to 0.15 BTC. Also, new players can make use of the No Deposit Bonus by keying in the correct Princess-Casino bonus code for it. Princess-Casino offers its bettors with a decent set of customer care options. Players can contact this department by either sending them an email or by initiating a conversation via live chat. They must be reminded, though, that the email option is the only one operating 24/7.